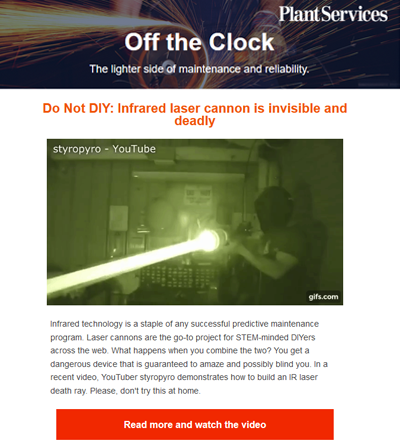 The internet is littered with DIY tutorials on how to construct plasma cannons. Consisting of little more than a propane tank, a plastic bottle, and a length of clear tubing, these plasma creations produce a small burst of flames, but little else. But what happens when you supersize a plasma cannon? In a recent video, YouTuber stancurtin demonstrates how to construct a plasma cannon that is powerful enough to topple a small workbench and is as loud as a gunshot. Please don't try this at home.